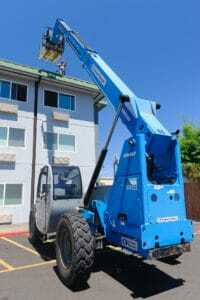 Neil Kelly recently installed 400 solar panels on the rooftop of a Best Western hotel in North Portland, making it among the first “solar” hotels in the area. However, the benefits of the project reach far beyond pride and recognition. The environmental impact of this system includes avoiding more than 100,000 pounds of carbon emissions annually, which is the equivalent of removing 15 passenger vehicles from the road or planting 1,500 trees every year. Above: A crane lifts stacks of solar panels up onto the roof of the 3-story hotel. Best Western Inn at the Meadows has a reputation as one of the best values in Portland accommodation. The property offers 146 guest rooms, more than 1,100 square feet of meeting space, and a range of amenities. Ranked among TripAdvisor’s Green Leaders and awarded of their Badge of Excellence for 2014, the hotel strives to provide guests with an outstanding hospitality experience at a great price. 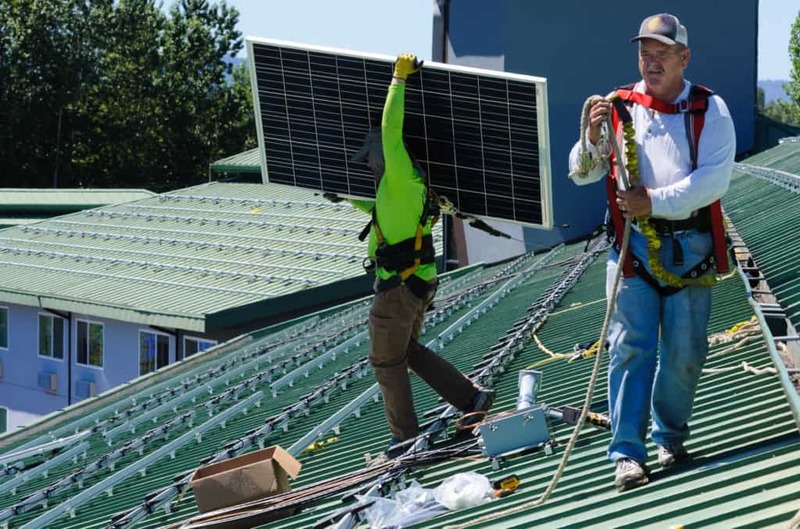 Neil Kelly designed the 100-kilowatt solar photovoltaic (PV) system, which serves 30 percent of the hotel’s electrical load, captures $72,500 in cash rebates, and provides the basis for federal investment and depreciation tax credits of more than $212,000. The system is built using locally manufactured SolarWorld photovoltaic modules, which carry a 25 year production warranty. Above: Crews move panels into place on the rooftop. The project was featured in the Portland Business Journal and the Portland Tribune shortly before its completion in July 2015. The socially responsible North Portland hotel plans to add a lobby kiosk to educate guests about the hotel’s energy and sustainability efforts. It’s easy to make your home or business “run on sun.” Neil Kelly’s seasoned solar energy professionals have the resources and expertise to tailor a system to the unique requirements of your home or business. Plus, we can help you access tax credits and incentives that can offset the cost of installing the system in many areas. 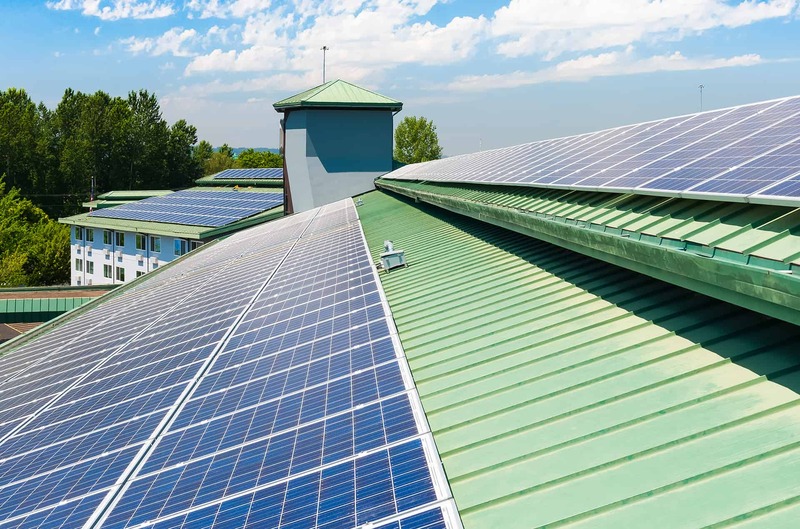 Learn more about Neil Kelly Solar today.